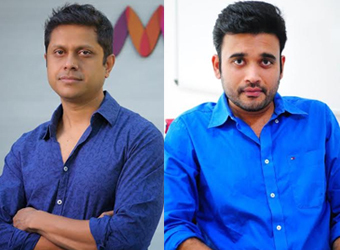 Former Flipkart executives Ankit Nagori and Mukesh Bansal’s yet-to-be-launched online preventive healthcare platform CureFit has invested Rs 20 crore ($3 million) in Bangalore-based CULT Fitness Pvt. Ltd, a fitness startup that offers training programmes that do not require the use of equipment, it said in a statement. Rishabh Telang, founder of CULT, said funds will be used to expand operations and augment technology backbone for a better customer experience. In April, Mukesh Bansal invested an undisclosed amount in his personal capacity in CULT. “CULT has a unique training model where the trainers mix and match various formats to deliver a holistic fitness regime. The traditional fitness formats are a thing of the past and trainer led group classes are something which will change the face of the fitness industry,” said Bansal. Launched in November 2015 by Telang and Deepak Poduval, CULT focuses on equipment-free training programmes. The startup offers a mix of high-intensity training modules that combine martial arts, speed and agility training and combat sports training. The trainers include former boxers, rugby players, MMA experts and Muay Thai trainers with national and international experience. Fitness programmes are customised, based on the needs and requirements of the individual customer. The startup, which is currently operational only in Bangalore, is looking to expand to over 25 offline centres by the end of 2017 and 200 centres in the next five years. However, it is not clear whether the company is looking at expanding beyond Bangalore. Telang did not respond to phone calls till the time of filing this report. Registered in May 2016 and set to be launched by early 2017, CureFit raised $15 million in a Series A round of funding from Accel Partners, IDG Ventures and Kalaari Capital last month. With an increased awareness around sports and physical well-being, the fitness space has seen considerable investor activity with a bunch of technology-based startups securing funding in recent times. In June, fitness startup BookYourGame raised an undisclosed amount of funding in a round led by Sanjay Verma, former chief executive officer, Cushman & Wakefield, Asia Pacific; and Amit Khanna, managing partner, Antuit-Europe. In the same month, CureJoy, an online community that connects users with alternative medicine and fitness experts, raised $4.4 million in Series A, led by its existing investor Accel Partners India. In May, Play Your Sport raised an undisclosed amount in pre-Series A funding from a bunch of investors led by Ashish Gupta, former chief operating officer of Evalueserve. Also, HealthifyMe, run by Caeruz Ventures Pvt. Ltd, raised $6 million (around Rs 40 crore) in Series A funding from IDG Ventures India, Inventus Capital and Blume Ventures.